Even though the different visual landscapes don’t match, it still fits perfectly in the word it creates, riffing off of different genres that still complement each other. You can even see some influences from both “Tron” movies, which they don’t try to hide at all when there is a scene of our main characters playing the 1982 arcade game, glitch and all. Much like the internet, some of the visual fanfare throughout the film becomes overwhelming as they try to stuff in as many references as they can, but let us only really glimpse a fraction of them. All of this happens before we even reach the best part of the film, the Disney world realm. In case you have forgotten just how far Disney’s franchise reach extends, we get a crash course as we travel through their digital world and see all of our favorite Star Wars, Marvel and cartoon mice all around. 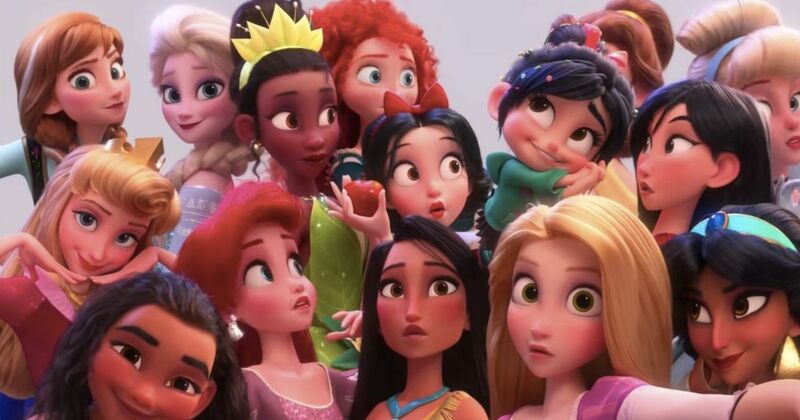 The best part of the film comes when Vanellope (Sarah Silverman) runs into every single Disney princess that has ever existed, most of them voiced by the original actresses. Coincidentally, this is one of the places where Phil Johnston and Pamela Ribon’s writing stands out the most as they address some of the more ridiculous aspects that the princesses share. It feels so refreshing to finally have some of those issues that have plagued some of our favorite animated films addressed, especially for the new generation of viewers who may have only recently started consuming Disney films. 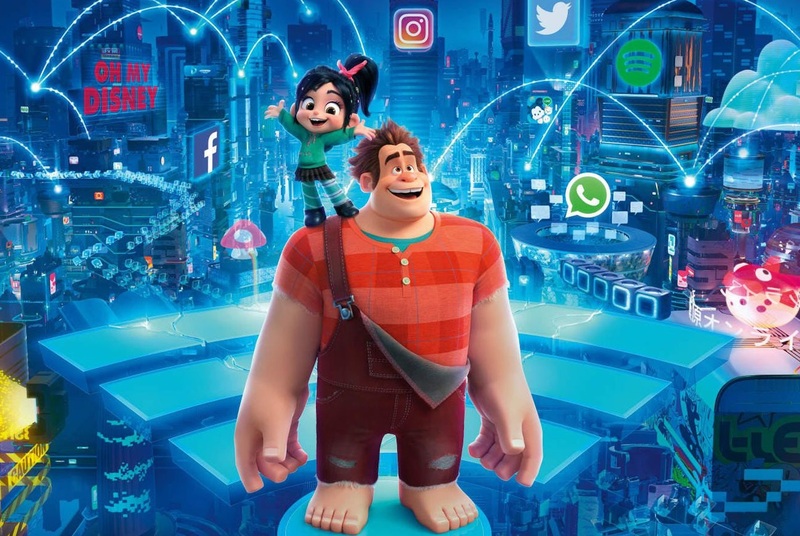 It has been 6 years since “Wreck-It Ralph” came out, which means the younger audience that watched the film originally are now in high school getting ready for college. The poignancy in “Ralph Breaks the Internet” comes with this fact in mind as it delivers a message about the evolution of friendship as you get older. Ralph (John C Reilly) and Vanellope’s friendship is put to the test when they encounter an online video game with Shank (Gal Gadot). Up until that point, Ralph and Vanellope had been inseparable, seeing each other every day much like children who see their friends every day in school. The new game that Shank is part is Vanellope’s dream and is meant to represent a college-like pursuit. The film’s bittersweet resolution is something we have all faced near the end of high school as we realize that the friendships we’ve had up to that point have to change because everyone has a different road to take when working towards their dreams. Just because you don’t see each other on a daily basis like you’re used to, doesn’t mean that the friendship must end, only evolve. That message is one of the hardest lessons we have to learn on our way into adulthood, and the way it is handled it is one of the greatest joys this film has to offer.